People were already starting to line-up this morning in New York's Times Square for the official launch of Bungie's Halo: Reach. Halo fans in New York will be treated to a live performance by hip-hop's Kid Cudi at the Best Buy Theater in Times Square. That even will also be broadcast live in HD on Spike TV starting at 11:33 p.m. EDT tonight and will also air on the Times Square MTV billboard. "The launch of ‘Halo: Reach' will likely rival some of the biggest entertainment launches of the year," said Chris Homeister, senior vice president and general manager of the home entertainment group at Best Buy. "What better way to celebrate this highly anticipated game than to partner with Microsoft and host the marquee event at the new Best Buy Theater in Times Square?" Of course plenty of local game stores will also be holding their own events. Feel free to drop details in comments if you know of any. 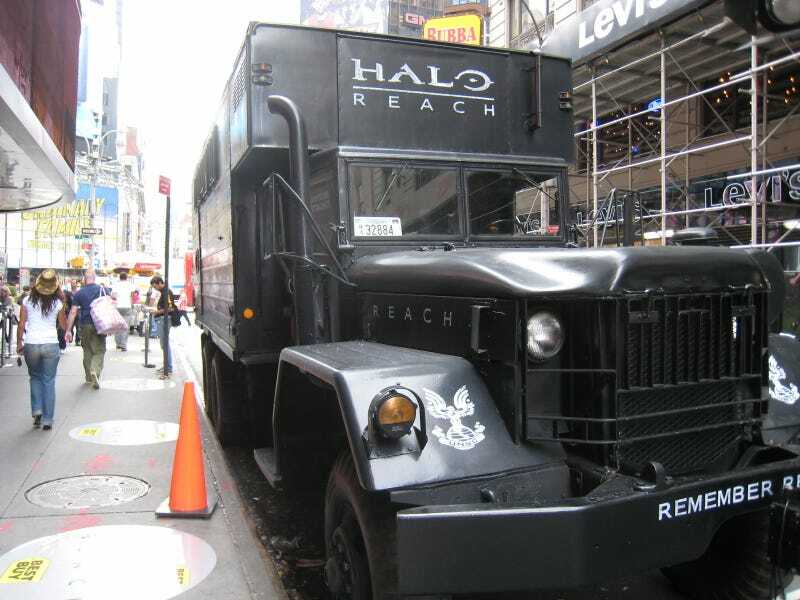 Are you going to a Halo: Reach Launch event?